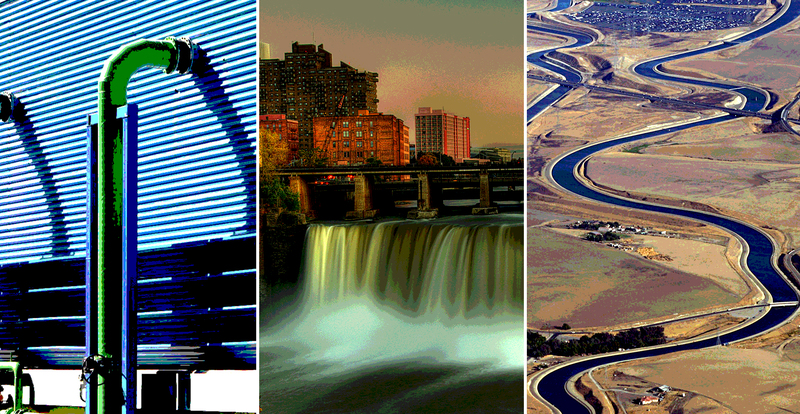 Over the past year, CBE welcomed three new members to its industry consortium. Representing manufacturing, engineering and construction, these companies reflect the diversity of CBE industry consortium, and provide the services and products needed to provide high-performing and resource-efficient buildings and places. As a world leader in sustainable environments, Saint-Gobain designs and manufactures high-performance building materials that improve the lives of people around the world. From the Hall of Mirrors at Versailles to The World Trade Center, Saint-Gobain has contributed to the fabric of human history, advancement and improvement for more than 350 years. An environmental leader, Saint-Gobain has ambitious targets for reducing carbon dioxide emissions at company locations by accelerating their ISO 14001 certification process. They have also committed to reducing the energy consumption and greenhouse gas emissions of their service buildings by a factor of four by 2040 under the Saint-Gobain CARE:4® program. 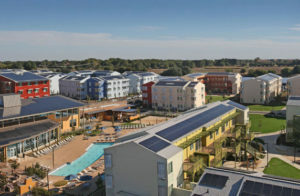 The program goal is to bring each new building’s thermal performance in line with the most stringent national standard, and reduce annual energy use to less than 80 kWh/m2. Beyond compliance and carbon footprint, Saint-Gobain has developed the MULTICOMFORT program, allowing them to experiment in the built environment to find new ways of improving the health and well-being benefits by allowing access to natural light, fresh air and outside views to make people feel more energetic and inspired. MULTICOMFORT buildings are designed from the ground up to deliver optimal comfort and wellbeing for everyone, at all times. 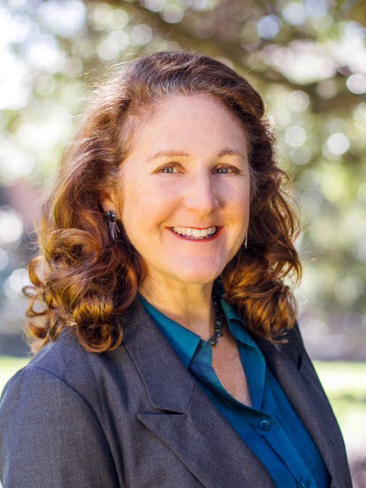 TRC led a study to create an actionable framework to facilitate ZNE developments such as West Village at UC Davis. Image: UC Davis. TRC Energy Services joined CBE’s Industry Consortium in spring 2016. TRC is an engineering, environmental consulting and construction management firm, and provides integrated services to the energy, environmental, and infrastructure markets. They employ over 4,100 professionals across 120 office locations throughout the United States. TRC’s energy efficiency group operates across the market transformation spectrum: from emerging technologies to building science research, human factors research, demonstration and pilot programs, energy efficiency program design and implementation, codes and standards development, and evaluation and measurement. CBE is already collaborating with TRC on three research projects covering advanced systems and controls, including a major project to evaluate how integrating smart fans and communicating thermostats may improve energy efficiency and comfort in multi-family residential and small commercial buildings, with funding provided by the California Energy Commission. For this project, TRC’s Gwelen Paliaga, Abhijeet Pande, and David Douglass-Jaimes are collaborating with CBE’s research team by managing field demonstrations, conducting market research, and providing market transformation activities. 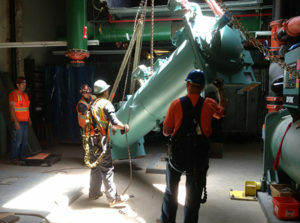 Technical staff from Western Allied Mechanical installing a new chiller at Dolby headquarters, San Francisco. 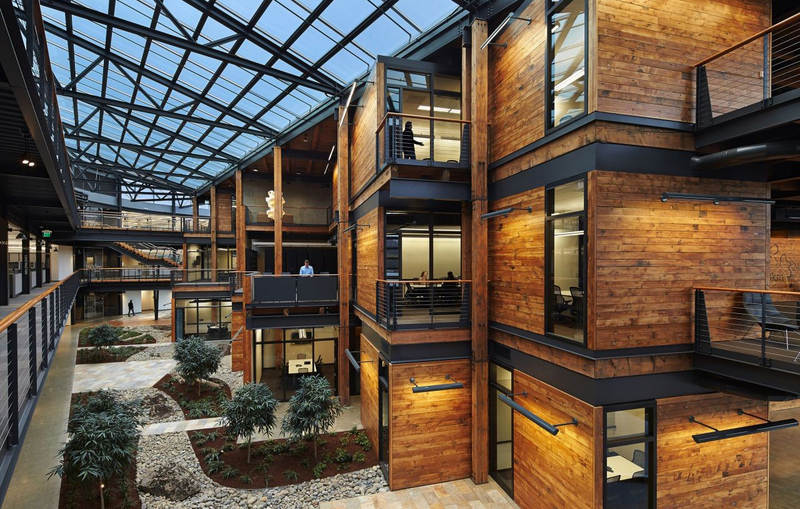 Western Allied Mechanical, Inc. a Bay Area firm with offices in Menlo Park, CA, has remained committed to the design, building, and maintenance of efficient and high quality HVAC systems since its founding in 1960. Their goal is to be a solutions provider, to stay on the forefront of emerging technologies and the design of energy efficient systems. Western Allied Mechanical has experience on numerous project types, from commercial and high performance laboratories, to arts and entertainment, and to educational facilities (including work on the UC Berkeley campus). “We felt that being able to join CBE was a significant opportunity to form a mutually beneficial relationship where we could connect with leading edge research, ideas, and thinkers to advance our designs and in return we might provide real world feedback of construction and operation practices and cost data of new ideas to Industry Partners,” said Todd Gottshall, Engineering Manager at Western Allied Mechanical. CBE’s collaborations with these companies are already providing value to us and to our consortium members, and we look forward to working with these new partners, who offer added diversity of expertise and perspective to the consortium. 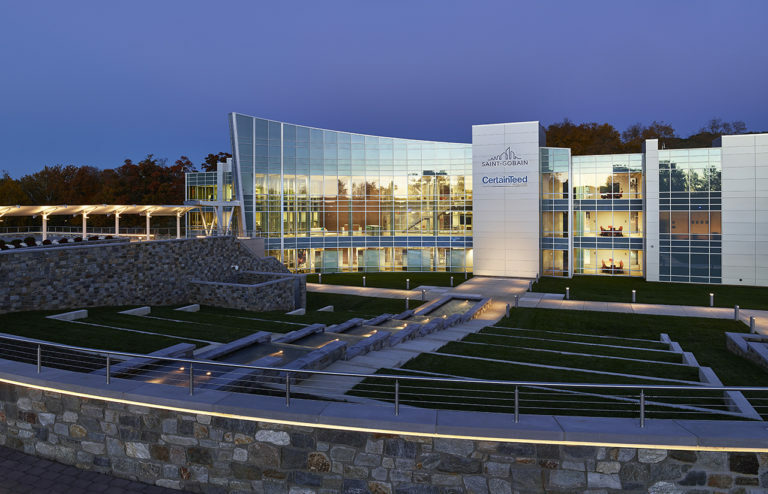 Top image: At the state-of-the-art North American headquarters of Saint Gobain and its subsidiary CertainTeed Corp. in East Whiteland, Pennsylvania, over 60 products are on view.